Bridge the cultural gap between the many companies that were acquired by Cephalon and stage a global web conference where founder and CEO Frank Baldino hosts an open forum with key employees from across Cephalon’s Global Community. Connect 25 global locations in 5 continents thru 6 time zones into a live interactive meeting. Key to Cephalon’s Global Employee Meeting was that it originate from Cepahlon’s Corporate Headquarters in Frazer, Pa. 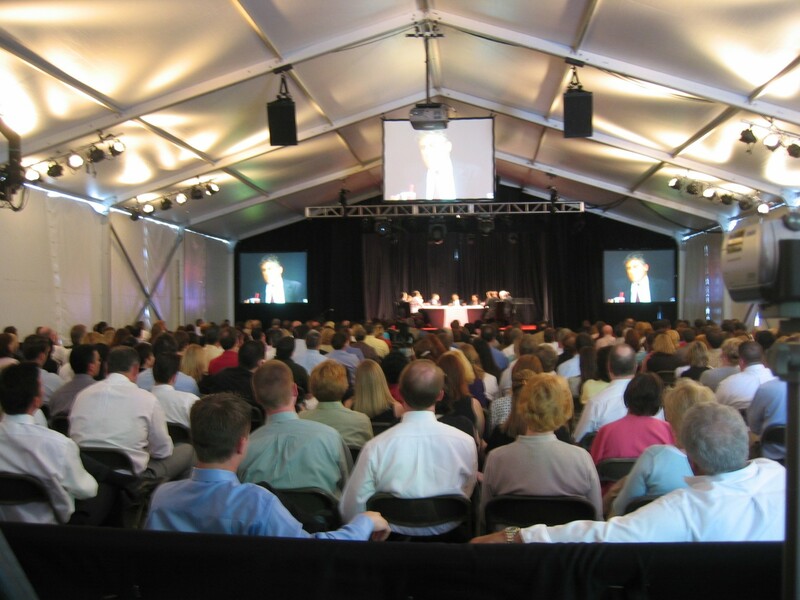 But the facility could not hold the 800 plus on site employees so we brought in a clear span tent and went to work creating a production design that served to be practical and innovative while maintaining the Cephalon brand. The Global Employee Meeting was to start with a series of standard presentations that addressed the state of the company and the expansion of Cephalon into Europe and Asia as well as R&D in Africa and South America. The trick here was to make the audience think they were going to sit through a series of presentations that had no redeeming elements of relief. Creating a global video with every day employees from around the world, interspersed with key executives vision and mission for Cephalon’s growth, the simple classic lines of the presentation stage were suddenly opened with a kabuki wall drop revealing founder and CEO Frank Baldino surrounded by twelve representatives from various Cephalon locations around the world. 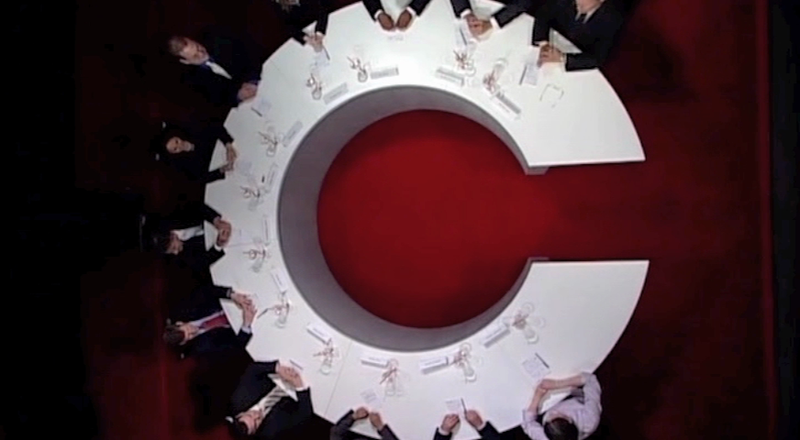 An overhead camera shot reveals the round table to be the Cephalon “C”, complete with red carpet. Simple enhancements that speak to the brand identity of merging cultures by creating moments that bridge a culture diverse employee base with common goals.